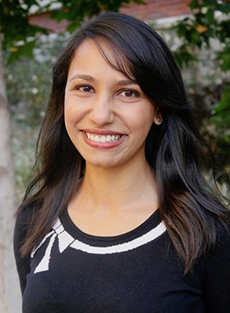 Sonali Abraham joined the Pacific Institute in 2018 as a research associate. She conducts research to address challenges related to water supply, quality, and governance in the business community, with a focus on sustainable landscapes in the Southern California region. Sonali is currently pursuing a D. Env. in Environmental Science and Engineering at the University of California, Los Angeles, where she conducts research on strategies to improve water resource sustainability, with a focus on water conservation in Los Angeles County. In the past, she worked on water treatment methods, researching disinfection byproducts produced during chlorination of drinking water, and she also interned at the United Nations Environment Programme (UNEP). Sonali received a B.S. in Chemistry from St. Stephen’s College in New Delhi, India and a Master’s of Science in Environmental Engineering from Johns Hopkins University. She grew up in the Middle East and Bangladesh.